Since the release of his debut EP “808%” in April 2013, his producer/DJ career has been developing fast. Over 5 millions streams and 300.000 downloads on Soundcloud his music is spreading all over the world like wild fire. Snavs released his “Armageddon” EP in February 2015 with great success. “Armageddon” performed outstanding on Beatport, it was #1 on the Hiphop chart for two weeks. 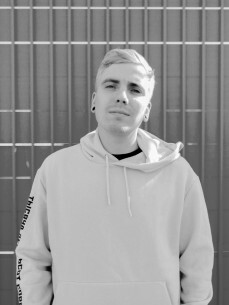 Snavs is getting support from artists like Diplo, DJ Snake, Borgore, Carnage, Brillz, Flosstradamus, RL Grime, Tropkillaz, Lil Jon, GTA and Pegboard Nerds who all have played his remixes. Snavs creates without compromise hard trap and bass music with great melodies and hooks.